I have always loved the Internet subculture where Designers share their "Paper Toy" creations. Well, it looks like DC Comics' special website for children, DC KIDS, has got on the band wagon. 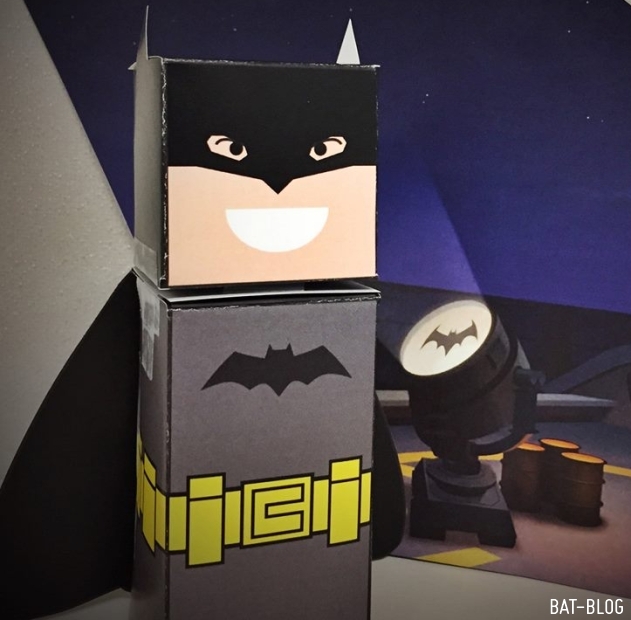 If you go there you can download a Papercraft "BOXY BATMAN" Toy for FREE! All ya gotta do is download it, you can print it out on paper (I recommend using card stock because it's heavier and more sturdy) and then you put it together!